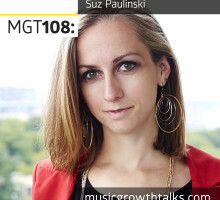 Suz Paulinski is a mindset coach for musicpreneurs. On this podcast episode, Suz talks about maintaining a healthy work/life balance, the dangers of “sleep shaming”, the ways musicians can start managing their time more effectively, and more. Where People Are Discovering New Music In 2018? 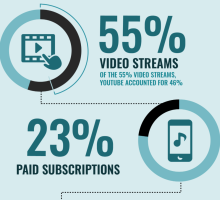 This infographic shows some interesting stats, illustrating the increase in popularity in streaming services which indicates the importance of strategies. Most interestingly, 85% of people still listen to music through the radio. 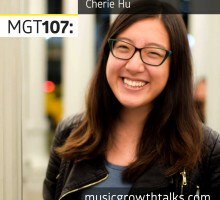 Cherie Hu, a music tech columnist for Billboard and Forbes, comments on her article about 88Rising, and explains how you can apply the tech adoption life cycle to your music career, something she describes in detail in her Medium post called “The Artist as Technology”. 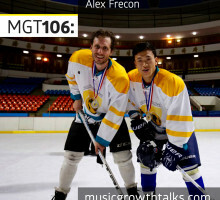 Alex Frecon, a hip hop artist and copywriter from Minneapolis, went to North Korea to play in a hockey match against the North Korean Men’s National Hockey Team. Now Alex shares his story on this Music Growth Talks podcast episode. 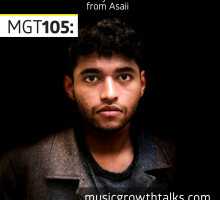 Sony Theakanath, the CEO and Founder of Asaii, talks about their lead generation A&R platform serving record labels, and shares tips for musicians who want to be noticed by data-driven industry influencers. 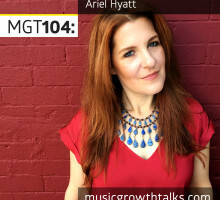 Ariel Hyatt, the founder of Cyber PR, talks about the importance of starting your marketing campaign with a story, explains the different types of fans and how to identify your core audience, and more. Get a FREE physical copy of Ariel’s “Crowdstart” book at the link inside!